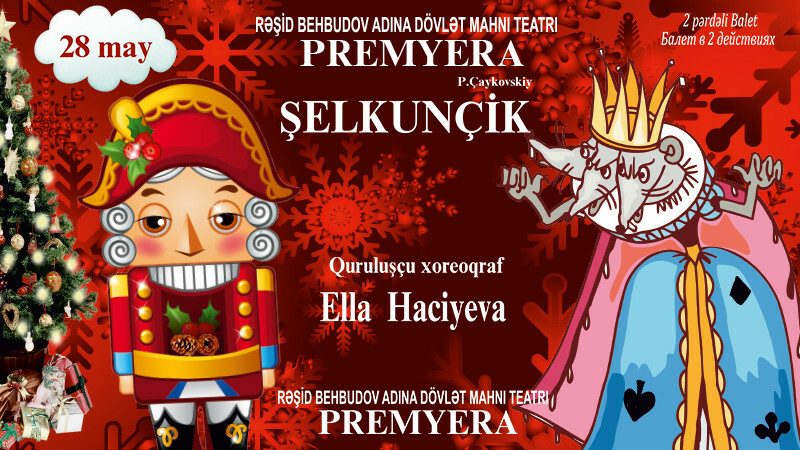 The Nutcracker (ballet) in State Song Theatre named after Rashid Behbudov buy tickets online. Delivery of tickets for the event The Nutcracker (ballet). The "Nutcracker" is a fairy-tale ballet for children and teenagers.We moved away from the plot of the ballet "The Nutcracker" and put a ballet on the plot of the cartoon "The Nutcracker".A shy,kind girl Masha rescues a bewiched boy-a prince from the scary King of Rats and with her friends,fur-tree dolls,celebrates the victory of love and kindness.